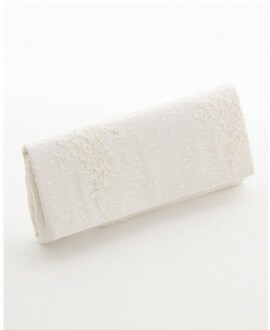 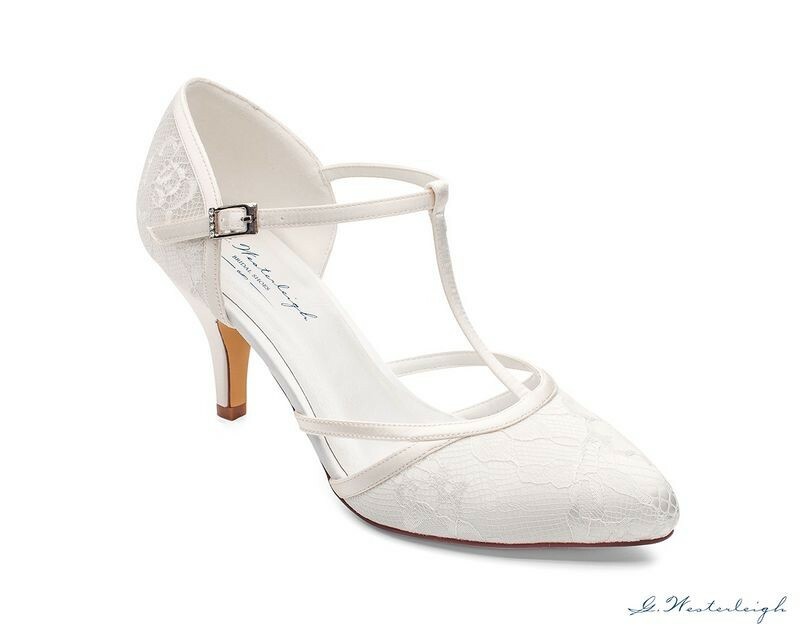 Jasmine has a delicate ivory lace overlay and a pretty T-bar strap. 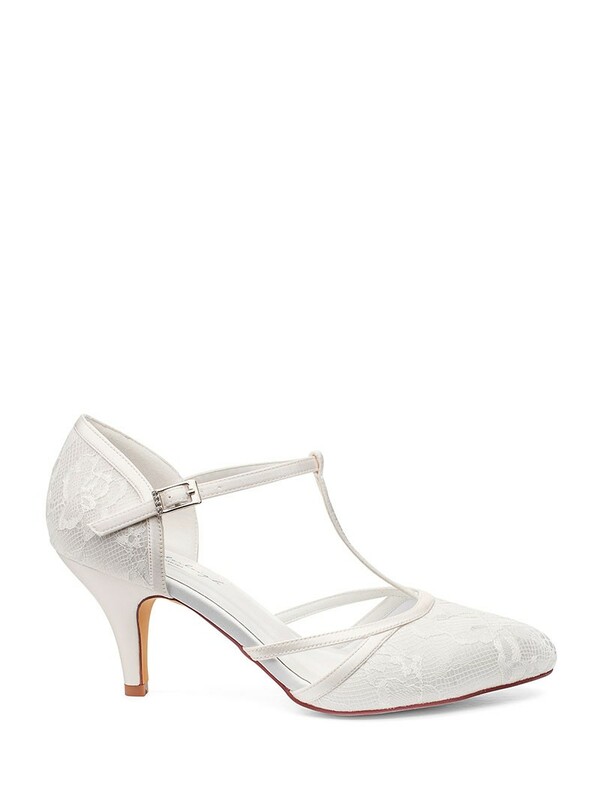 The mid height heel ensures all-day comfort. 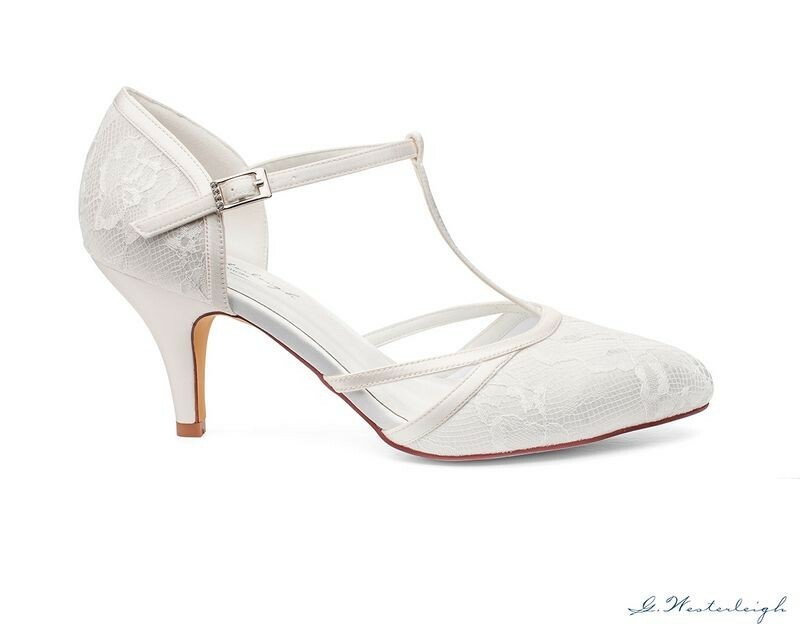 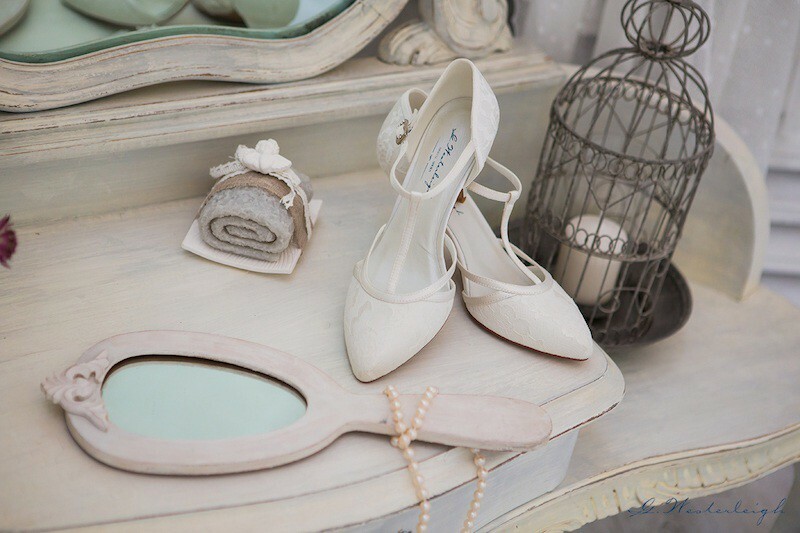 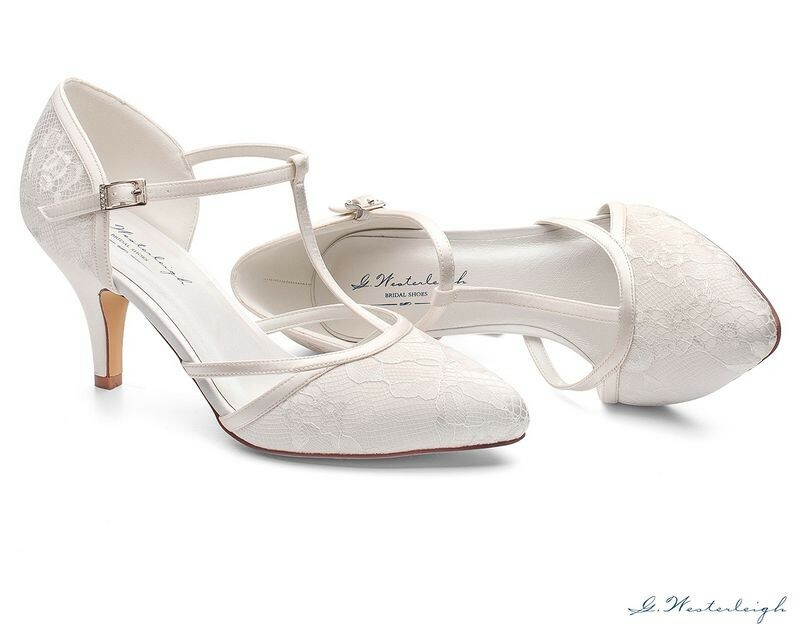 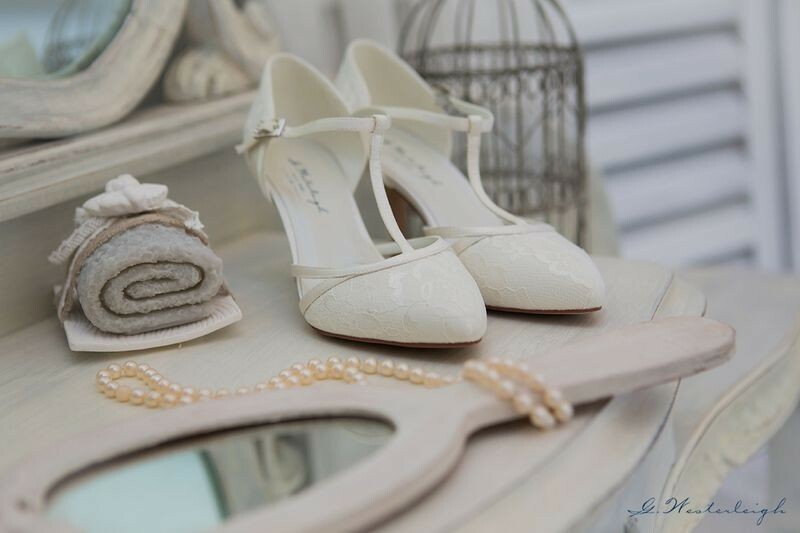 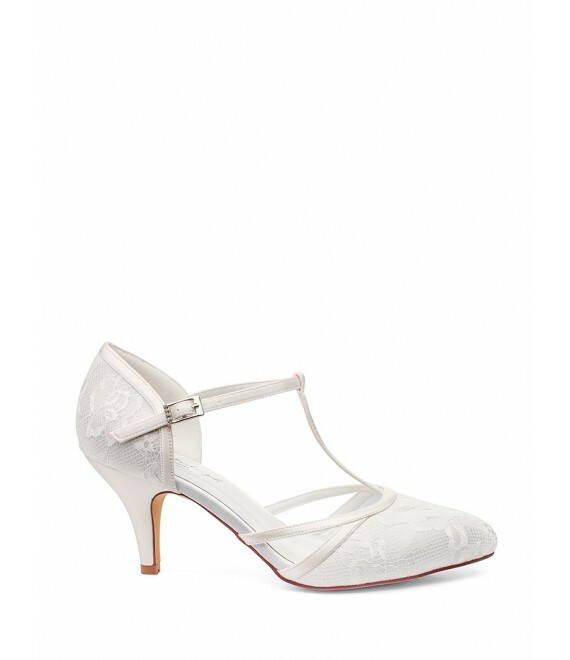 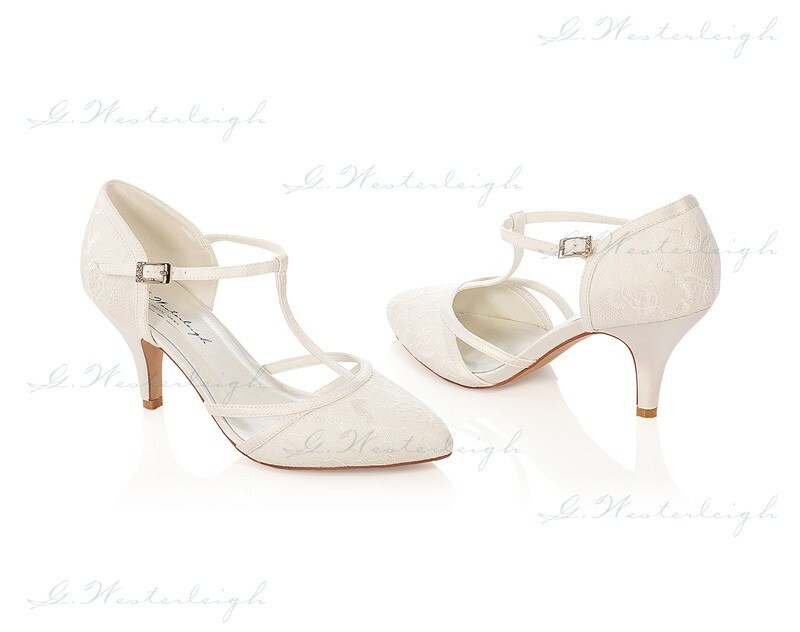 This handcrafted bridal shoe features hidden foam padding and a very soft leather insole for a super comfortable fit.